An MTV documentary exploring the plight of musicians in Iran has raised a few eyebrows about Iranian politics. Rock or hip hop musicians in Iran need to seek approval for their art from a government entity called the Ministry of Culture and Islamic Guidance according to the Tehran Bureau of The Guardian. Iran bans certain genres of music and treats them as illegal. Heavy metal and socio-political hip hop are among the many types of music banned in Iran which has turned aspiring musicians underground. Underground music gigs that are always at risk of being shut down by moral police are common place in Iran. MTV showcased the plight of musicians who are leaving the country in Rebel Music: Iran The Music Never Stopped which is a six-part series on music in various countries. 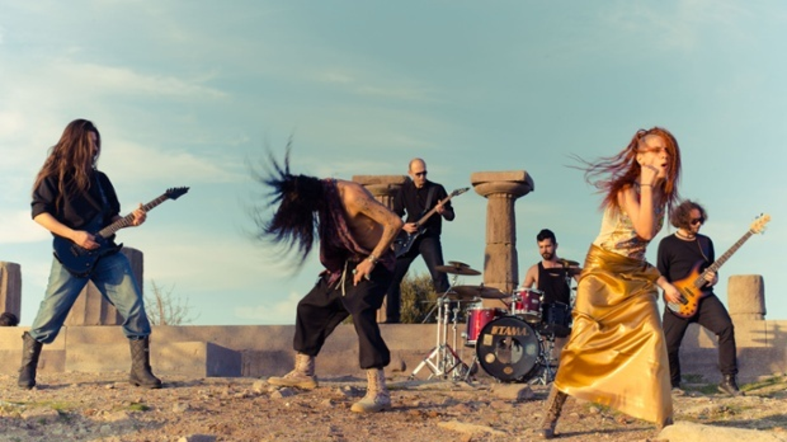 The Iran episode included a segment on a heavy metal band called Master of Persia who were founded in the city of Mashad. They were forced to flee after their lead singer MerajMOP was accused of being a devil-worshipper and was subsequently flogged. The young ‘rebel’ rocker was lashed 130 times, however he and his band were able to escape Iran to Turkey where they currently live. They continue to get gigs and explore their musical career in their new home.